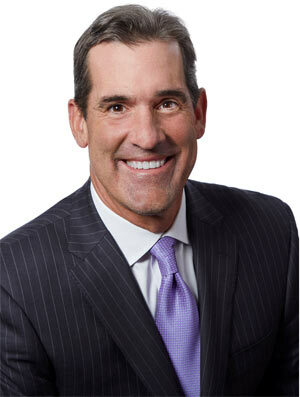 Doug Sieg is the Managing Partner of Lord, Abbett & Co. LLC and President and Chief Executive Officer of the Lord Abbett Family of Funds. As Managing Partner, he is responsible for setting the firm’s strategic direction and managing the day-to-day business activities of the firm, including Investments, Client Services (U.S. Retail, U.S. Institutional, and International), and Core Services (Operations, Finance, Legal & Compliance, Technology, and Human Resources). He also serves as a Director of Lord Abbett Passport Portfolios plc, a pooled investment fund organized in Ireland and regulated by the Central Bank of Ireland. During his tenure at Lord Abbett, Mr. Sieg has served in senior leadership roles in sales, relationship management, product development, and marketing. He has been instrumental in all business activities and the growth of the firm, serving in a strategic planning role in addition to his Client Services responsibilities. Mr. Sieg joined Lord Abbett in 1994 as Regional Manager in Florida and later served as Western Division Sales Manager based in San Francisco. 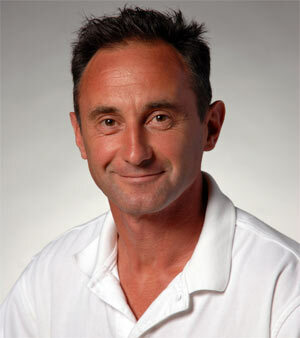 He became Director of Marketing and Relationship Management in 2000, and was named a Partner of the firm in 2001. In 2005, Mr. Sieg was tasked with the challenge of creating a firm-wide marketing organization that combined communications, brand management, and competitive intelligence. In 2007, he was asked to create a product management and development team focused on positioning Lord Abbett products in the market. Mr. Sieg was named head of Client Services in 2013. He has worked in the financial services industry since 1992. Mr. Sieg is on the board of Kent Place School in Summit, New Jersey, which for over 100 years has provided a superior education to young women from diverse backgrounds. Mr. Sieg earned a BS in business from The Pennsylvania State University. 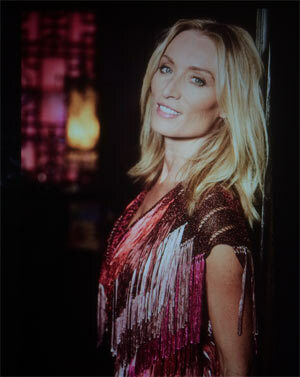 Irish actress Victoria Smurfit is a beloved presence on television and film. She has recently completed filming for Series 7 of Strike Back on British Television and has most recently starred in season two of Marcella as the recurring role of Maya Whitman with Anna Friel for Netflix. She appeared in the role of Lady Jayne in NBC’s Dracula opposite Jonathan Rhys Meyers and starred in Once Upon a Time (Disney/ABC) as Cruella Di Vil. Victoria won Best Supporting Actress for The Lear’s opposite Bruce Dern in 2018. She produced and starred in Irish Film and Television (IFTA) nominated short film The Secret Market, which has won many festival awards, and is currently in development with eOne on boxing drama The Box. Her film credits include About a Boy, Bait (Netflix), The Leading Man, Bulletproof Monk, The Beach, The Lear’s, Honeymoon for One, So This is Romance? and The Last Great Wilderness directed by Hell or High Water’s David McKenzie. Victoria’s television credits include The Shell Seekers, Berkeley Square, The Alan Clark Diaries and Ivanhoe, as well as leading roles in several iconic series Cold Feet, Ballykissangel, The Mirror Crack’d for Agatha Christie and Trial and Retribution. Her theatre performances include Brian Friel’s Translations at the Bristol Old Vic, The Jungle Book for the RSC, and Ten Rounds by Carlo Gebler at the Tricycle Theatre in London. Victoria appeared on stage in Ireland for the first time as Carole in the hugely successful play October by Fiona Looney produced by Landmark Productions at the Gaiety Theatre, Dublin and Cork Play House.Victoria lives in Los Angeles with her three children. 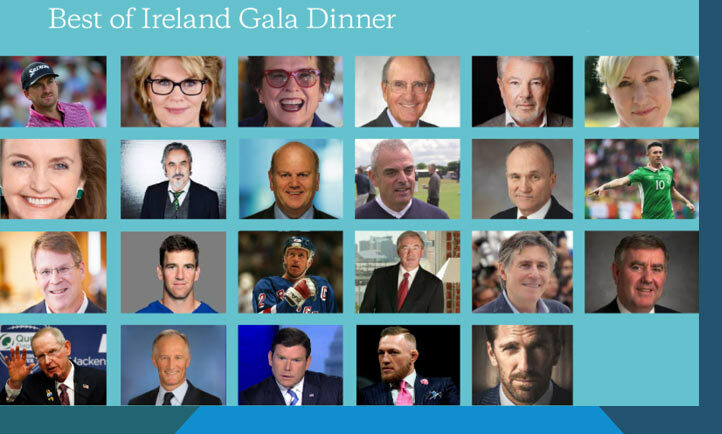 She has hosted The Friendship Ball Gala in London since 2012, a biennial event that benefits CMRF Crumlin and Great Ormond Street Children’s Hospital Charity. To date the event has raised over $3.5m for pediatric research. Triple World Indoor 1,500m Champion Marcus O’Sullivan is a retired Irish middle distance runner from Cork in Ireland and is one of only three athletes to run 100, or more, sub 4:00 miles. Although he wasn’t planning to go to any of Ireland’s universities, O’Sullivan’s running encouraged him to go to Villanova University at 19. O’Sullivan quickly became a world class runner, and took part in four summer Olympic Games. He won three gold medals at the World Indoor Championships over 1500m and is third all-time (trailing Steve Scott, at 137 and John Walker, at 127) with total sub-4 minute miles, at 101. The three World Indoor 1500 metre Championships won by O’Sullivan were in 1987 (Indianapolis), 1989 (Budapest), and 1993 (Toronto). In his victories in 1987 and 1989, he set championship records and was 4th in the 1991 Seville world indoor championships. At the 1985 European Athletics Indoor Championships, O’Sullivan won a silver medal in the 1500m. O’Sullivan qualified for four Olympic Games for Ireland: 1984, 1988, 1992, and 1996, at both 800 metres and 1500 metres. He reached the 1500 metre finals at the 1988 Seoul Olympics. He set an indoor 1500 metres world record of 3:35.4 on 10 February 1989, and was generally regarded as a better competitor running indoors. This is evidenced by the fact that O’Sullivan won the prestigious Wanamaker Mile in Madison Square Garden’s Millrose Games six times (1986, 1988, 1989, 1990, 1992, and 1996). O’Sullivan, along with Irish runners Ray Flynn, Eamonn Coghlan, and Frank O’Mara established the still standing world record in the 4 x 1 mile relay, when they combined in Dublin on August 17, 1985 to run 15:49.08. O’Sullivan now runs the RunningWorks cross country camp during the summer, and is the head coach of Villanova cross country and track and field. He was coached by Tom Donnelly of Haverford College and advised Bob Kennedy in the later years before Kennedy’s retirement. In addition to his ties to American record holder Bob Kennedy, O’Sullivan has coached elite professional runners such as Canadian indoor world silver medalist Carmen Douma-Hussar, and New Zealander Adrian Blincoe. O’Sullivan is married to the former Mary Spinks, who earned a Nursing degree from Villanova in 1985. The couple has two children, Laura and Christopher. Childhood illness in all its forms is persistent, indiscriminate, and often devastating. Quite simply it’s not a fair fight – childhood illness takes too much. Some children will have to fight from their first breath. Others will need medical treatment, hospital stays over the holidays, and surgeries in their first months of life. Some will battle acute illness throughout their childhood. Day after day medical staff does whatever it takes to deliver extraordinary care, transformative treatment, early diagnoses and cutting-edge technology. They provide support and hope to some of our sickest children and their families. In January 2019, we invite you to join us and celebrate this journey to a better world for pediatric healthcare.